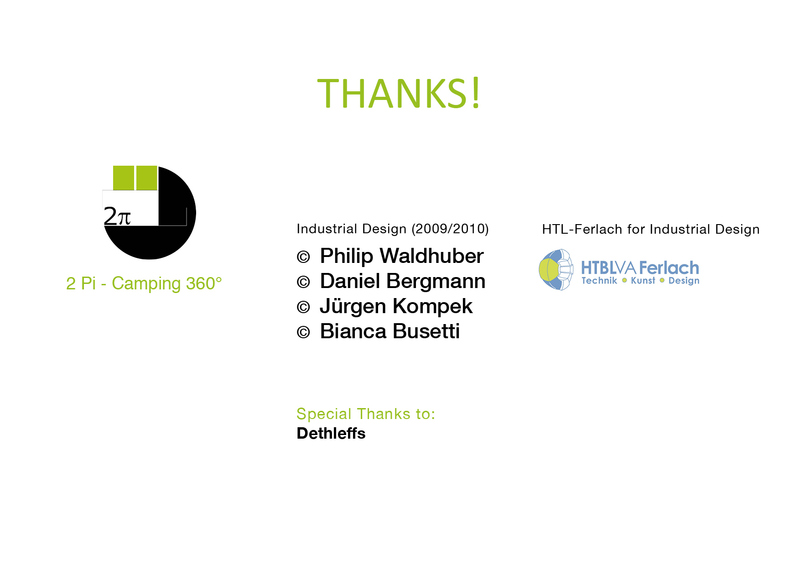 The complete thesis "Camping 360°" as pdf. 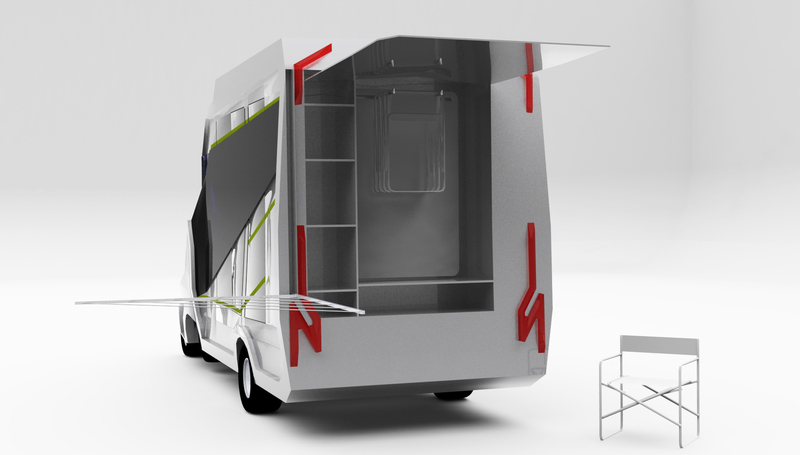 The task was to design a caravan with a length of 5999mm which should still be very spacious and should accommodate FOUR! people. 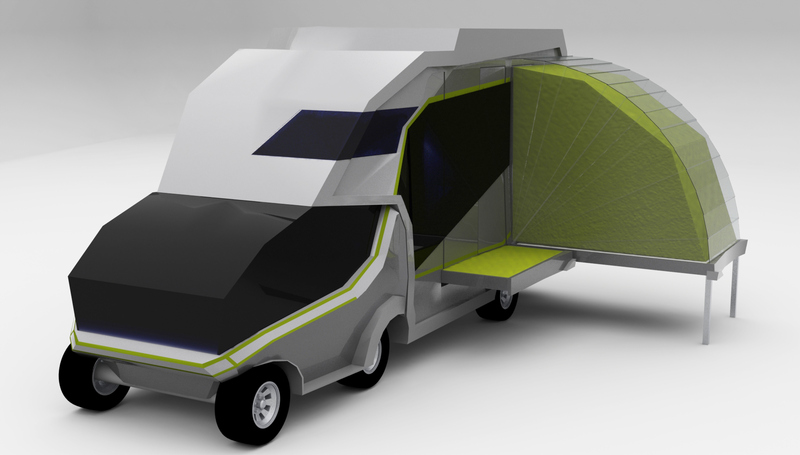 The thesis „Camping 360°“ includes the design, concept development and implementation in various 3D visualization-programs and the creation of a 1:10 model. - Why must we always decide between camper and caravan? - Why can’t the caravan be as compact just as a camper and offer the same driving characteristics? 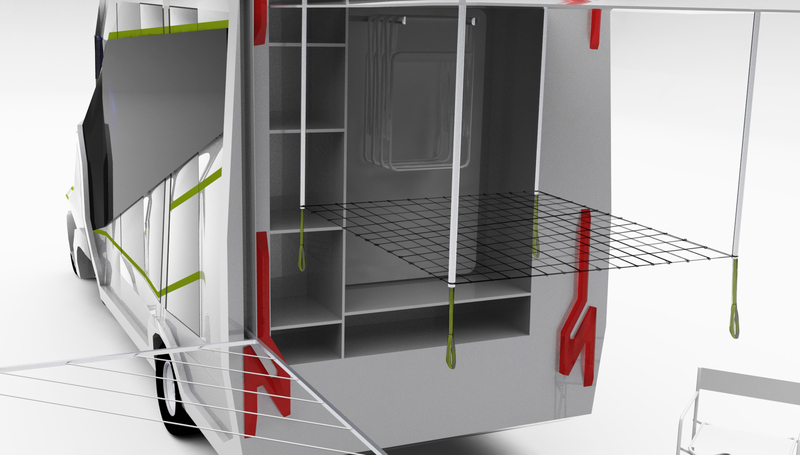 - Why can’t we be equally flexible with a Camper as with the car of my caravan? 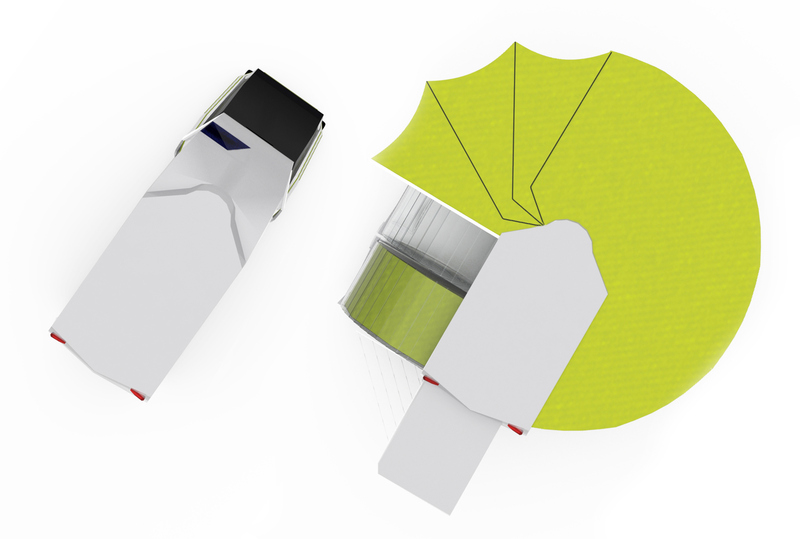 - How can we improve the handling of the awning? 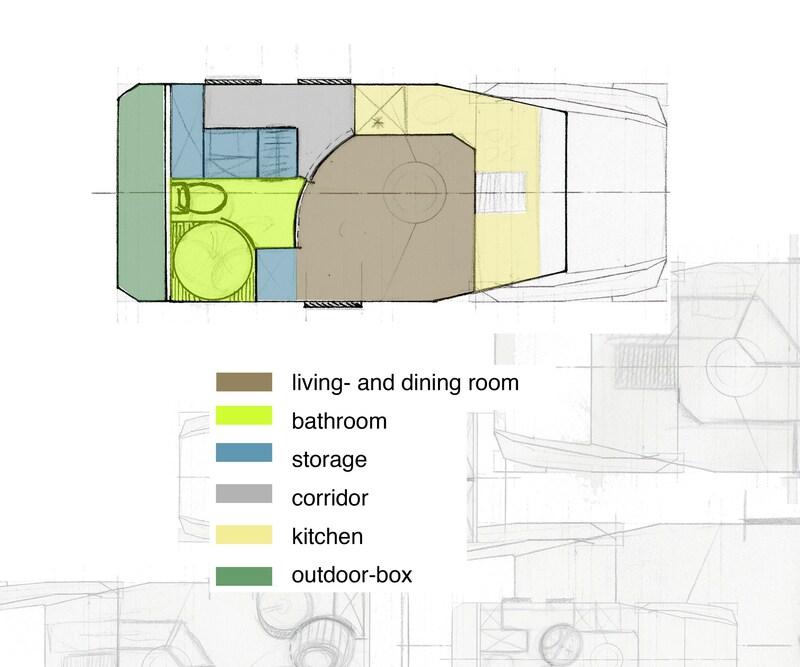 - How can we fix the wellknown problem of lack of space? 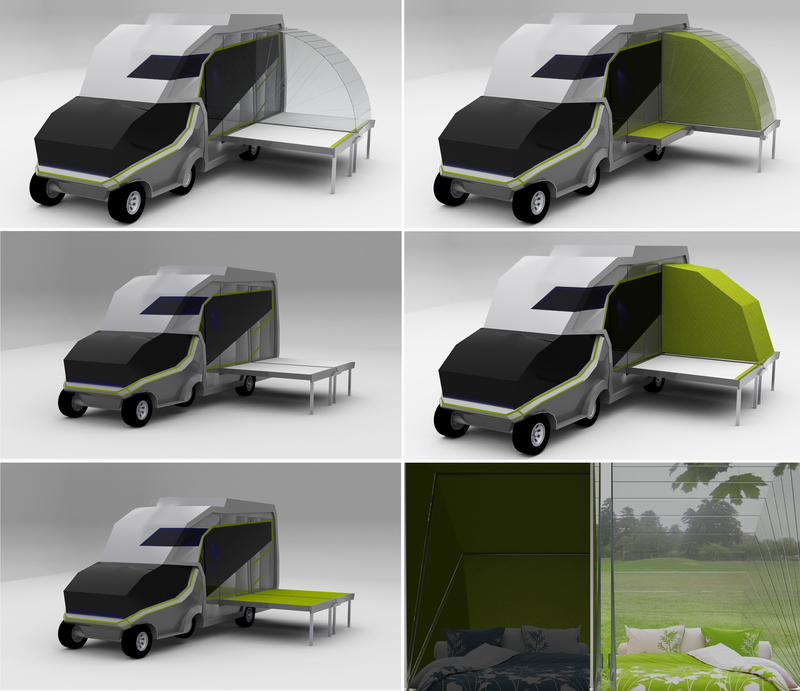 - Can we create a new imagination of camping under the title "healthy sleep"? 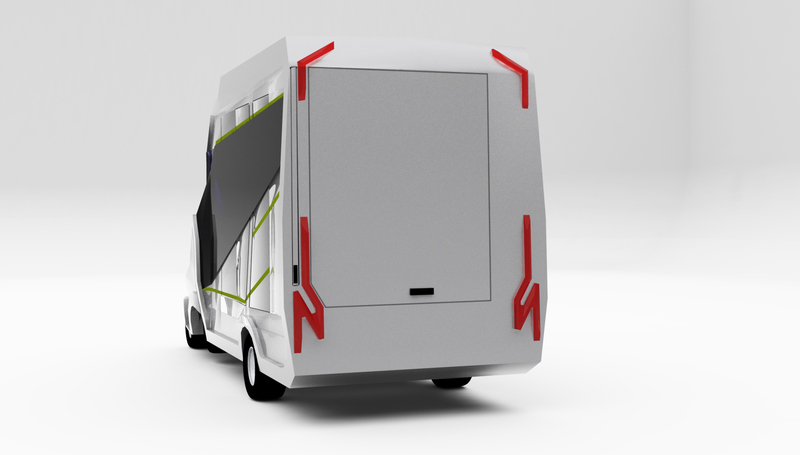 The motor caravan “2 Pi” exists of two components, an electric car and a motorised caravan. A steep connection and a folding upwards rear axle allow the driving comfort of a motor caravan. Another point is that you can get to all the places ecologically. The complete vehicle is driven by an engine in the double bottom, which also recharges its batteries. 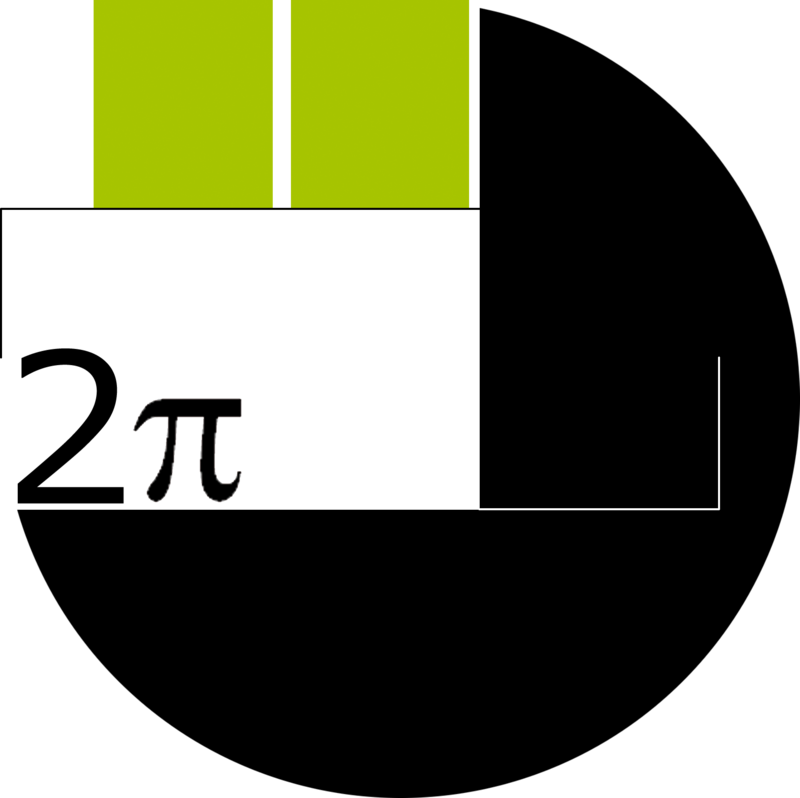 mathemathic formula of an arc says 360°= 2 Pi. a big way", and designed some posters. biggest parts of the room - the beds. you can even watch the stars at night! during the day. Or feel like sleeping in a tent. box for a table, seats and other things e.g. a griller. curtain of the awning are integrated.